Until the spring of 2016, there were few venues where vacation rental business owners could get together and talk about their vacation rental businesses, hear from a range of industry experts and network with fellow owners, managers and suppliers, free from the influence of the major listing sites and continues sales pitches. Before then, Homeaway Summits and the Airbnb Open were the only events that offered an opportunity to get together with peers. The Vacation Rental Management Association (VRMA), who represent their property manager members with three conferences each year are heavily sponsored by OTAs and suppliers. This creates an arena where the risk of offending heavy-hitting sponsors becomes a barrier to the fully free speech we need to have to raise the concerns owners and property managers want to share. When we launched the Vacation Rental Success Summit, we had a goal of creating the first fully independent conference that would bring together hosts and home owners, property managers, the great people building the resources we love to use, and industry experts, all in the same place. We wanted to provide a forum for networking, the sharing of ideas and a place to learn from each other freely, and so the first event (VRSS16) was held in Toronto in 2016, with around 100 people attending. Earlier this year, again in our fair city of Toronto, almost 200 people filled the conference venue for VRSS17 to hear speakers such as Matt Landau, David Angotti, Eric Mason and Evelyn Badia from The Hosting Journey. With such success in both 2016 and 2017, we decided to head south for VRSS18, not only to a warmer location, but to bring VRSS to a wider audience in the US. 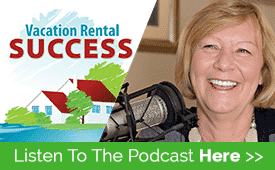 So, in case you haven’t heard about it yet, we wanted to share some of the background behind the Vacation Rental Success Summit; why we started it; who is involved and what you can expect. We’d kicked around a lot of ideas before launching VRSS16. Originally, the intention was to have a small seminar on our home turf in Ontario to offer local vacation home owners some quality education and networking with each other. There just wasn’t anything like it available. As with many projects around here, it began to snowball very quickly and we found there was so much interest outside of Ontario – and across the world – that it was going to be bigger than we’d expected. We also found that organising something like this was going to be much harder than we first thought. There are so many moving parts from finding the right venue (and negotiating rates) to sourcing great speakers, to marketing the event, that we couldn’t do it alone. Who are the VRSS team? Mike Bayer is the driving force behind VRSS. He is a full-time firefighter for a city in the suburbs of Toronto, and in his spare time has helped me build a business and brand focued on helping vacation rental businesses thrive. It was this passion to help the industry that drove him to build this event. That’s along with looking after his two girls and having quality time with his wife Andrea, who is a paramedic and also works shifts. Marketing an event like this is almost a full-time job, and Mike immerses himself in it. He has a hand in every email you get; every blog post you read and every social media post you come across. I don’t think Mike had any idea how time consuming this would be when we first started but he’s gone into it full throttle and now we are in the third year, it’s becoming a little more manageable. Erica Townson is our events manager and is the lynchpin – the one who brings it all together and makes sure it runs like clockwork. When Mike first met Andrea (his wife) in 2002, she was working for Erica at an event in Huntsville, Ontario. Erica’s company, Town Events Management was managing the Ontario/Quebec Marketplace – a conference bringing together tourism providers in the two provinces with travel buyers. Mike was representing my UK travel company, Clearwater Holidays at the time. So, when we realised we couldn’t do this on our own, we naturally turned to Erica for help, and now with two VRSS events under her belt, she’s got a good understanding of our business and is building some great relationships as she goes. 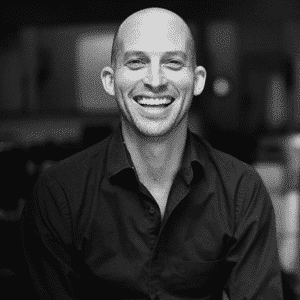 Jason Beaton is a digital marketing specialist and specialises in vacation rentals, and an all-around nice guy. Mostly working in the background making sure the website functions well, and that you get all the information you need in a timely manner, you might not hear from him personally. 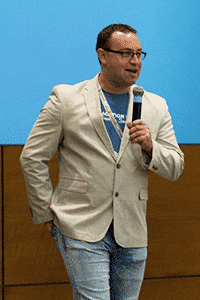 However, if you come to San Antonio, he’ll be delivering a great workshop on email automation – a topic we all need to know more about. Heather Bayer – that’s me! I write the blog posts, suggest the speakers and introduce VRSS to sponsors and exhibitors. Because I’m a conference junkie, I know what works and what doesn’t from an attendee perspective. So I guess I’m an advisor to Mike in that respect (for those who don’t know….I’m Mike’s mom). 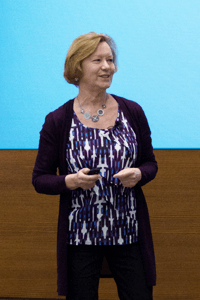 Where do you find your speakers and are there any sales pitches? The primary goal of VRSS is to bring the best in learning. This means finding speakers who not only engage their audience, but also bring huge value in what they share. We don’t allow business pitches during any workshop or keynote speech, and require our speakers to share really actionable takeaways. We’ve been to too many events where you get half the story…the rest comes when you buy the product or service. We want you to leave with some great ideas you can put into practice as soon as you get back home. Our Keynote speakers are people who know this industry inside and out. They are well-known in the business and have spoken at other events. For 2018 we’ll be having more panels so you can get to ask questions from people who are really experienced in the business and want to share their knowledge. Why do you have OTAs as sponsors? The unique selling point of VRSS is that we are completely independent of sponsor influence however it doesn’t mean we can operate without them. Running an event like VRSS is costly and ticket revenue isn’t anywhere near enough to pay for it. Sponsorship allow us to deliver a conference that runs smoothly and delivers what you have come to expect….great food, entertainment, and a really interesting exhibitor area. Sponsors get a lot of visibility for their product or service in our marketing, however we don’t offer any speaking slots to them unless they can assure us that there will be no pitch for their products and the session offers major value to attendees. We select our exhibitors to bring you a wide range of products and services that are really relevant to attendees. Companies that provide apps and resources to help owners and small managers be better at what they do are particularly welcomed. So if you want to talk to a specialist insurer or look at amenity kits and bed linens; test out guest apps and welcome tablets or see what’s new in remote property management, there will be something for you. Let’s face it – going to any conference or event is an investment. It will take a few days of your time and you’ll have to pay for a ticket to the event as well as your accommodation and travel expenses. Whether it is worth the effort of being away from your home and travelling – especially by air. What reward is there in return for giving up your time? In reality we know that anyone can go to a conference, get fired up and motivated while there, yet go back home and make no changes whatsoever. While we’d love there to be some magical element that shifts your business to a roaring success within days of returning home, we can’t offer instantaneous transformations. However, if you attend with clear goals of what you want to get out of it, and commit to working on the takeaways, you will get a huge amount on value from it. Just listen to the testimonials from the attendees from the last two events. Think of it this way. If you are able to increase your rental rate or occupancy, or reduce administrative costs by applying what you learn, how much time and effort would it take to exceed the cost of attending? For example, I went to the VRMA conference in Orlando in October. The cost of attending including travel and accommodation and ticket to the event was in the region of $2000. The value in networking alone has saved much more than that amount because I learned about a new resource that would allow us to terminate a much more expensive service. 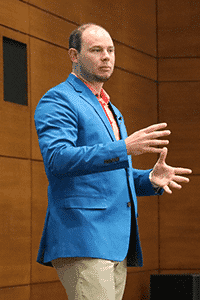 ROI comes in many forms – it could be in finding out about new products; talking to other attendees about what they use in their businesses, or learning techniques to make a business run better. 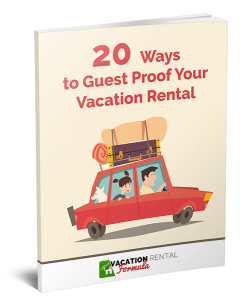 We’d love to share more about VRSS and why we think it’s a great fit for anyone wanting to make their vacation rental business better. If you want to ask us a question or speak to a previous attendee to help your decision, just let us know. We’ve done this twice now and want to make the third event the best ever – tailored for you! 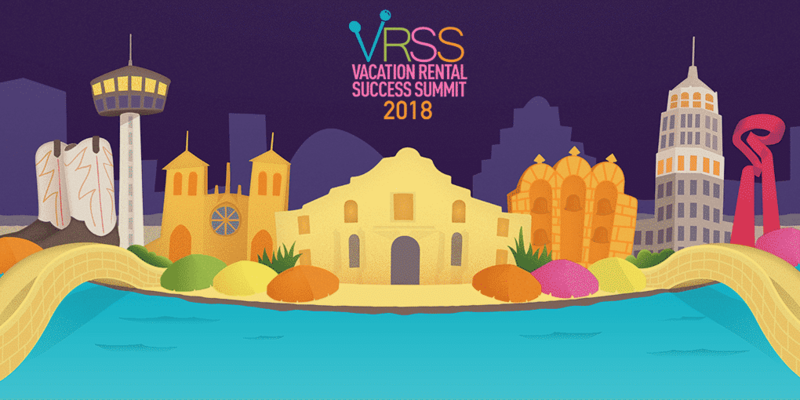 "VRSS has become a really important calendar event not only for me but for the Vacation Rental Industry as a whole. It gives independent business owners the support system we need to help solve our biggest business problems."